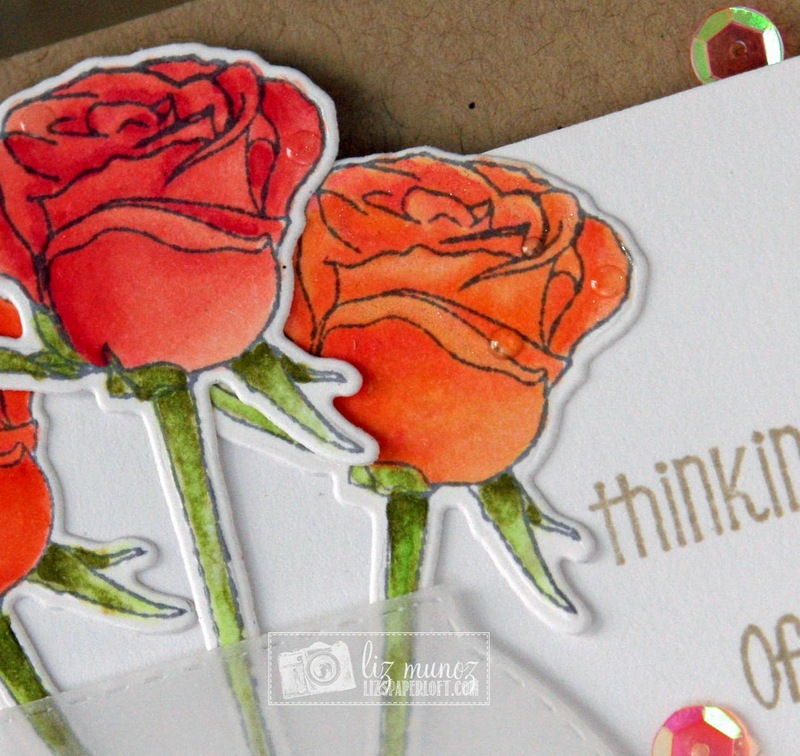 Liz's Paper Loft: MCT Inspire Me Wednesday ~ think of you! The sentiment is from a new set called "Tweet Me" I did some masking to stack the sentiment to fit in location I want it. After coloring with copics, I added a bit of wink of stella and glossy accents to the flower petals. Be sure to see what the other girls did for today over at My Creative Time! OMG Miss Liz WOW Your card is absolutely gorgeous....I'm totally awestruck over what you did. WOW your vase of flowers turned out spectacular and love what you came up with...definitely and outstanding creative job....I just love how you've used all of Miss Emma's goodies. Wow! Your card is so gorgeous! I love how you did the vase! Beautiful card! Thanks for sharing! 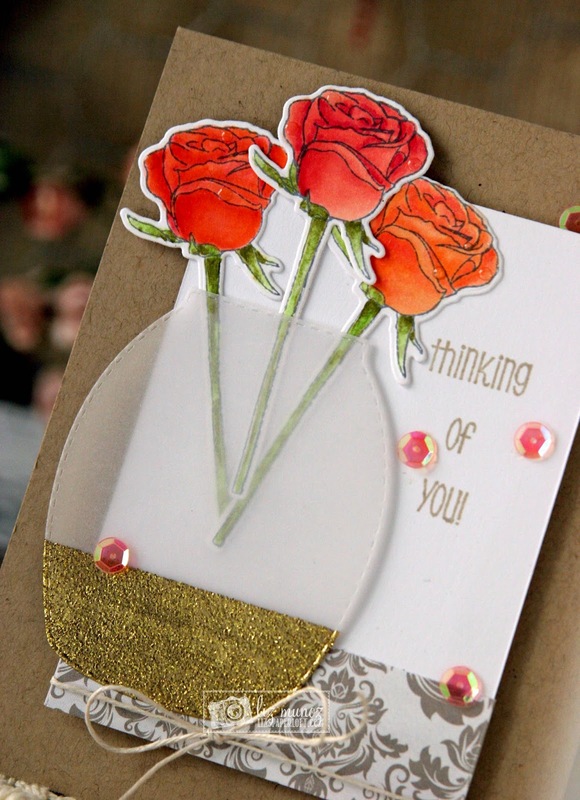 Liz ~ Oh my you card is just GORGEOUS!! 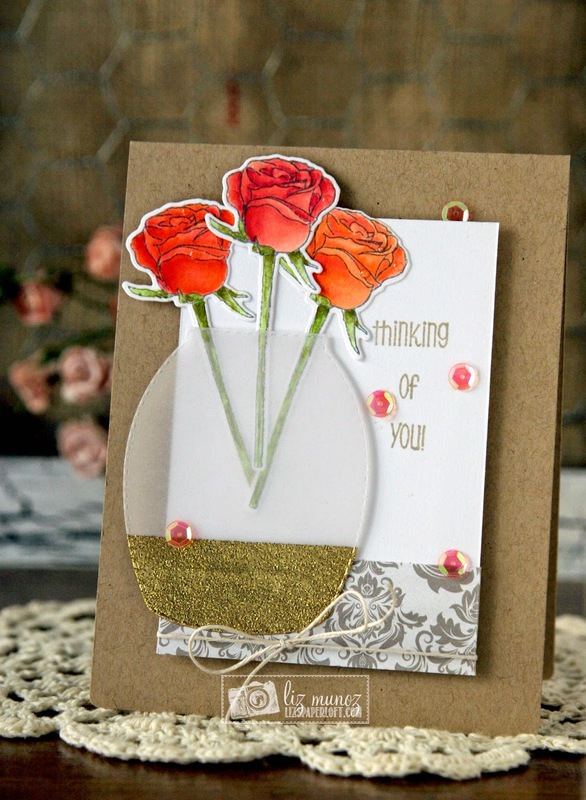 LOVE the coloring of course, the masking of the sentiment and oh my the pops of gold ~ STUNNING creation along with your inspirational piece too! Your roses are colored perfectly and are beautiful with those sequins. Love the gold and vellum vase. Such a pretty card.